Today's Thrift Style Thursday theme is brought to you by yours truly! Being a small amount Irish (and proud of what Irish is there!) 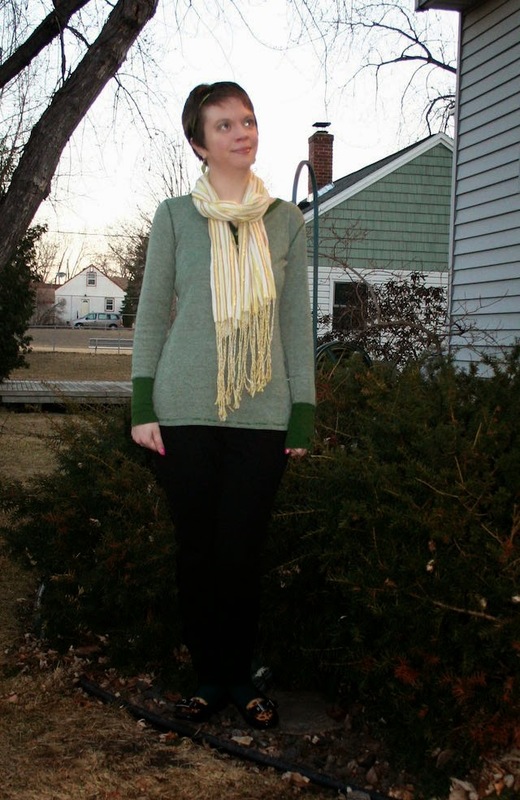 I thought it would be fun to do an Irish themed Thrift Style Thursday - even if St. Patrick's Day was Tuesday! I'm just going to share my outfit from Tuesday for today! I kept it fairly simple, as I've been complaining about all week, I was gifted a very nice headcold from my sweet son, so I've been kind of in a fog. 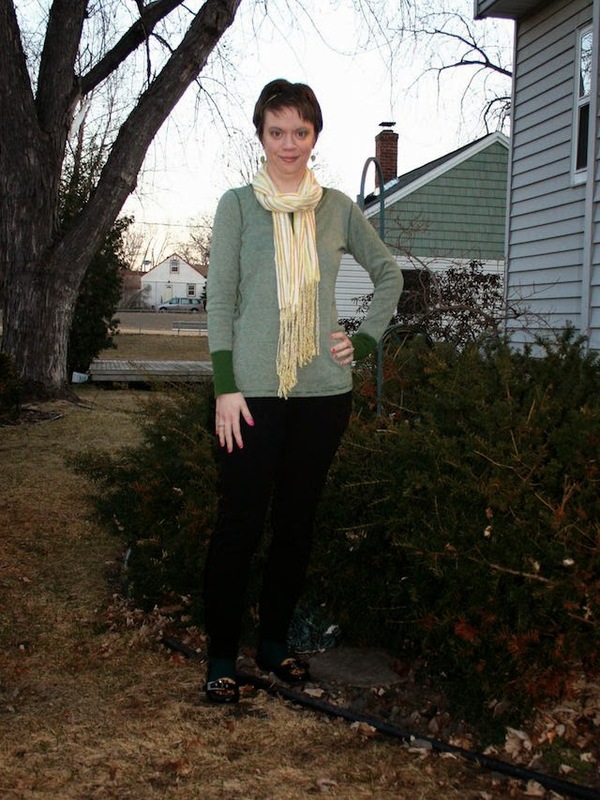 So, I opted for my favorite thrifted green shirt, black jeggings and this awesome scarf from my swap with Zhenya (more on that next week!). If St. Patrick's Day had fallen on a weekend, I'd definitely have worn one of my favorite shirts that I picked up a beer festival - it's VERY green, but wouldn't have been work appropriate! My subdued look was perfect for a day at work and a low key St. Paddy's Day celebration at home with my hubby!